Saigon (Ho Chi Minh City) is an intoxicating metropolis, bursting with energy, life and food. But, it’s not a city that’s filled with typical tourist attractions. 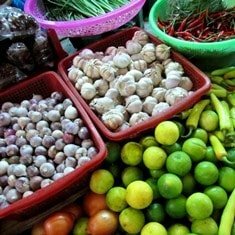 To get the most out of Saigon, and discover what makes this city unique, leave the so-called ‘must-see’ sights behind and follow my Top 5 Things to Do in Saigon, listed below. For the visitor (if not for the long-term expat), witnessing Saigon’s rush hour should be a highlight of their Vietnam experience. 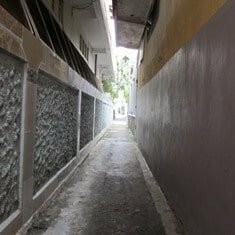 The crush, clamour, noise, heat, and pollution of millions of motorbikes crammed onto the baking asphalt in 90% humidity, is strangely compelling. The only way to fully appreciate this spectacle is on the back of a motorbike taxi, where you are exposed to the elements and become a genuine participant in this phenomenon. 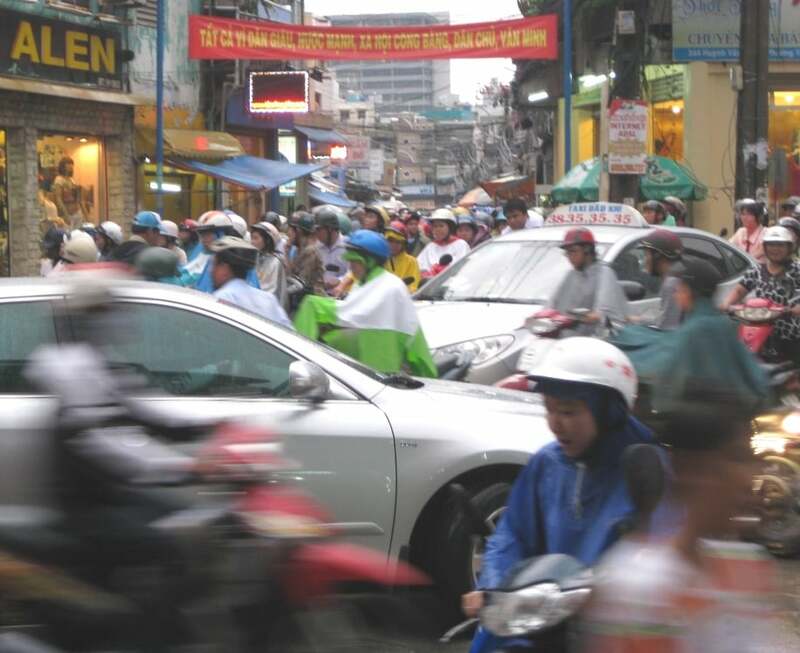 If you’re lucky, you’ll be in Saigon for a national celebration or public holiday, when the volume of motorbikes and density of traffic is, in my opinion, one of the wonders of the modern world. 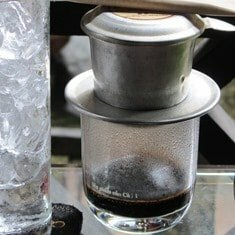 This entry was posted in ALL, DESTINATIONS, Resources, Saigon, The South and tagged attractions, best, Ho Chi Minh City, Saigon, things to do, travel guide, what to do. Bookmark the permalink. Thanks for a great resource. 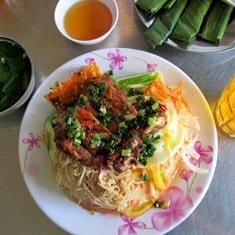 We, a family of 5 with older children, had a fantastic visit to Saigon, using your info to experience a side of Saigon thst would have been difficult to find in the 5 days that we had to explore. 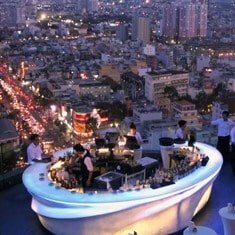 We had a ledgendary pho from Pho Phuong, as suggested in the food triangle post; great bo la lot from Co Giang st as suggested in the best ear streets post; cocktails and an amazing view at the Grand Hotel Roof Top Bar; and unique coffee experiences at Tram Cafe and Ngoi Nha So 7 Cafe. Although we tried lots of Com Tam, we had trouble finding Com Tam Than Nien at 570 Trung Sa st, as it looked like it may have closed down, but it was well worth looking for it as tat whole canal area was a delight. With the coffee shops and all that food it sounds like you must have had a real ‘Saigon experience’ – great stuff! I think one other unique time to visit and experience the country is during football season like SEA Games or AFF cup. Everytime we win the city explode with celebration. Not only in the big cities but the whole nation becomes one. Have you ever participate in such parade? If you have i would like to hear your thought on it. Yes, you’re right. It is a very exciting time to be in Saigon during one of the big football matches. I was in Saigon when they won the tournament a few years ago – the streets were packed with people celebrating the victory. A great sight to see. Thanks, Amelie. I think it’s the little things – street food, alleys, markets, coffee shops – that make Saigon such a great place to be. Hope you have a great trip!